Watch this article as a video here, if you prefer, or else read it below. Losing weight is hard enough, sometimes. And when you get to your desired weight, you think, “I am NEVER going to put it back on again!” But lo and behold, a few weeks later, the weight may already be starting to increase, as the pounds pile on. There are several reasons for this and it is NOT THE FAULT of the diet you chose. If you lost weight on that diet and you are healthy as well as a lower weight or at your desired weight, then congratulations! Your diet worked for you and you worked your diet to achieve your target. After you lose weight, you need a maintenance plan in place to remain at your desired weight. There are several plans you can use, such as 5:2, 16:8, The Mediterranean diet, The Paleo diet, etc and which one you choose depends on you and the kind of food you and your family like to eat most of the time. The Boredom monster: This monster is ALWAYS looking for something to do with your mouth and it usually ends up with eating what you shouldn’t. Once you have finished your weightloss diet, this monster thinks that it’s time to play and play means moving that mouth. Moving it may mean you are eating what you shouldn’t. How to Beat the Boredom Monster: Drink water, chew sugar free gum, or raid the green box (see below). The Hunger Monster: This monster tells you that you are always hungry. It kept quiet while you were dieting but now it’s finished, it wants to get you straight back to where it was – yes, into fatland and the only way it can do that is to tell you that you are hungry and get you to eat what you shouldn’t. How to Beat The Hunger Monster: Use your green box (see below), take plenty of hot drinks, these help you feel full. Eat more protein, take a protein drink. Keep hard boiled eggs in the fridge and eat one or two at a meal, they will keep you fuller longer. You could try a teaspoonful of coconut oil with a hot drink (coconut oil coffee is delicious!). The fat will make you feel full and it is a healthy fat. The Stress Monster: This monster appears when you are feeling low and stressed. It tells you that it will disappear if you eat comfort foods. It’s lying. How To Beat The Stress Monster: Use the green box, drink protein shakes. Give yourself a break and don’t beat yourself up over it. Try and heal the stress. Keep a small box in the fridge with green vegetables in it, ready for eating. I like to keep cut up celery and some lettuce hearts. Boredom and Hunger Monsters both want food as soon as possible and they can be kept quiet with a snack from the green box. 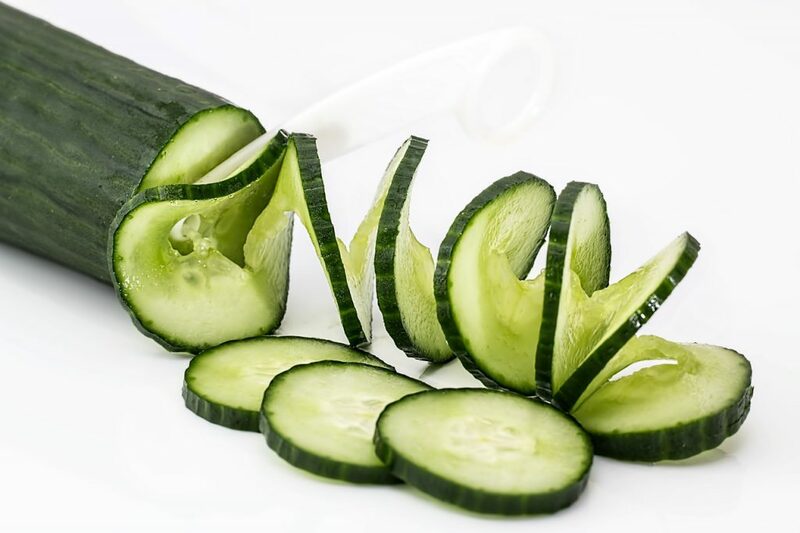 I also like cucumber but I cut a chunk off fresh when I want it. I also have frozen spinach and I cook about 6 rounds of that at a time and keep it in a saucepan on the stove and again, something quick to eat will keep at least 2 of the monsters at bay.